Valve Software’s latest hardware and software survey for July 2018 reveals that 63.72 percent of Steam’s registered members still play games with a 1,920 x 1,080 resolution (aka Full HD). Even more, 13.33 percent of Steam’s gamers play at 1,366 x 768 (HD) while only 1.14 percent are playing at 3,840 x 2,160 (4K). Only 3.12 percent play at 2,560 x 1,440 (QHD). 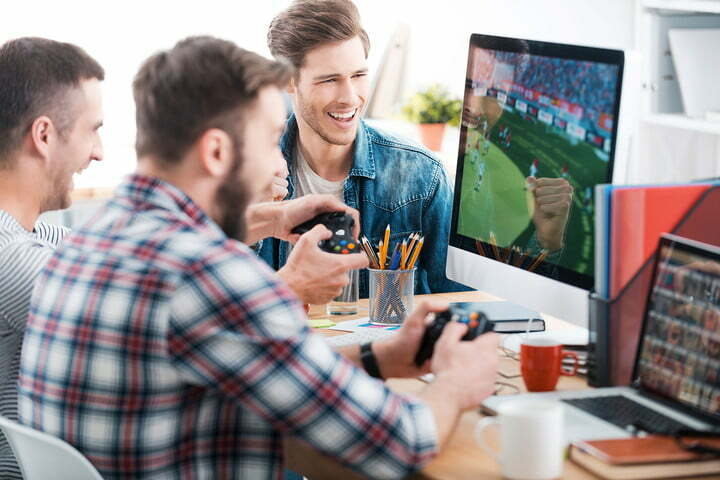 Although hardware manufacturers and game developers are pushing for 4K gameplay, the numbers show that a large portion of PC gamers haven’t made the move. Even more, 12.50 percent of Steam’s customers rely on the GeForce GTX 1060 graphics card followed by 9.59 percent with the GTX 1050 Ti. Surprisingly, only 2.23 percent have the GTX 1080 installed. Overall, Nvidia reigns king on Steam with 76.35 percent of the graphics card usage followed by AMD at 13.91 percent and Intel at 9.58 percent. Meanwhile, Intel leads the CPU pack with 84.8 percent versus AMD’s claim of 15.2 percent. Specific models aren’t listed although Intel CPUs speeding between 3.3GHz and 3.69GHz sit at the top of the charts. On the operating system front, Microsoft is king of the hill with a 96.77 percent claim on Steam gamers. Break that down and you’ll see 54.40 percent using Windows 10 (64-bit) followed by 36.07 still remaining on Windows 7 (64-bit). The list also shows Steam gamers still playing on the original Windows 8 (64-bit) release and Windows XP (32-bit). Despite Valve’s former push for Steam Machines and its Linux-based SteamOS platform, only 0.49 percent of Steam’s customers use Linux. Meanwhile, MacOS claims a 2.66 percent stake in the Steam survey with the largest chunk of Mac gamers using MacOS 10.13.5 (64-bit). According to Valve, the latest Steam Hardware Survey includes fixes for a problem that overcounted cyber café customers and inflated certain results during the last seven months. The problem stemmed from the way these cyber cafes managed their PCs, causing havoc in the results. Valve feels confident that its Steam Hardware Survey is no longer overcounting users as of April. The Steam Hardware Survey is a great way to see what gamers are using to enjoy their Steam games on a month-to-month basis. As we’ve seen in July, a good chunk of these customers play on four-core Intel processors, Nvidia’s graphics cards such as the GTX 1060, Windows 10 (64-bit) and a 1080p resolution. Nearly 41 percent on the survey has 8GB of system memory in their PC followed by 36.62 percent with 12GB or more. Finally, if you’re curious about virtual reality, the $400 Oculus Rift sits at the top of the July list with a 0.30 percent usage while the $500 HTC Vive fell to 0.29 percent. Only 0.01 percent of Steam’s members use the newer $800 HTC Vive Pro.